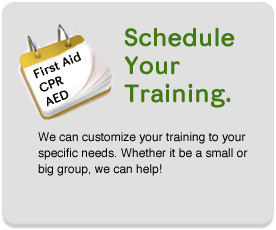 The main focus of our classes is to make sure students are comfortable using a life-saving skill. HEARTQUEST Trainers applies a commonsense approach in an easy, enjoyable way to teach both the latest ILCOR guideline and real life situations. HEARTQUEST is also your best source for quality, affordable safety equipment. By choosing HEARTQUEST, you are insuring you receive the highest level of customer service anywhere in this area. Not affiliated with a company or organization? One-on-one instruction available.